NEW YORK CITY — The Vintage Room would not have opened its storefront on the Lower East Side this past June if it weren't for the Hester Street Fair. Co-founder Summer Mizera's friends had always told her she had an eye for spotting chic vintage clothing amongst the piles of used items at estate sales and other second-hand stores. On a whim in 2011, she applied to the outdoor market to sell a few pieces. Three years later, after making enough money to support herself week after week at Hester Street and other pop-up locations, Mizera works full time on her business. She and her fiancé Mark Rosado, who runs Top Shelf Premium Vintage and who met her at the fair, joined forces in June to open a Lower East Side storefront that contains both their businesses. While Mizera may have stumbled into a new career, there are dozens of other small businesses using the outdoor markets such as Broadway Bites, Smorgasburg and Hester Street Fair to allow their ideas to germinate into something bigger. There are many advantages to launching a small business at an outdoor market. Some vendors say they avoided huge, risky startup costs attached to a storefront. They also never had to sell out to investors and many have turned a passion project into their full-time gig. If your new business idea suits an outdoor market, take heed of these four lessons from those who used that setting to grow a business. 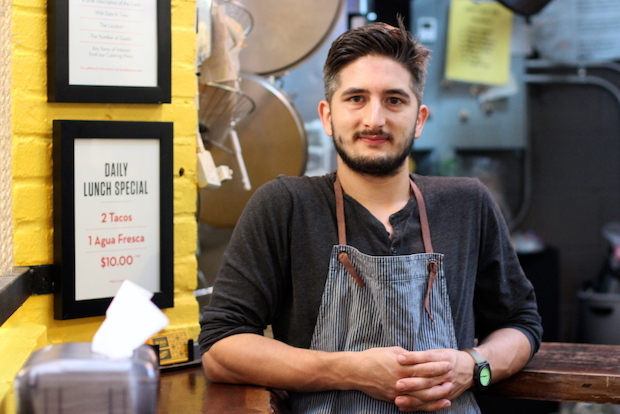 Forking over more than $10,000 for a logo and brand identity in the early days of Brooklyn Taco Company was a good decision, according to co-owner Jesse Kramer, 32. "That is what people see on paper, on the Internet, that is who you are in the absence of your food," he said of the business that started in 2010 at Williamsburg's Artists and Fleas market before moving to Hester Street Fair in 2011. Kramer and co-owner Erica Molina moved into a permanent spot at the Essex Street Fair later on that year. "Branding is huge," said Keith Klein, who started Milk Truck in 2010 at Brooklyn Flea in Fort Greene selling grilled cheese sandwiches. "I think you communicate a lot of things about yourself, not only what you're selling." Milk Truck began as just a demonstration of the capabilities of Klein's former advertising agency to develop an entire brand for potential clients from top to tail. Klein made that project into a standalone business that has been so successful that he now works solely on Milk Truck, which has a truck, a catering business and 20 employees. "It doesn't have to be fancy, it just has to be yours," he said of branding, adding that business owners should have an idea of how they want their brand's "voice" to sound as well as how they want it to look. Klein also pointed to self-serve websites such as Moo.com to create business cards, posters and mailing cards. 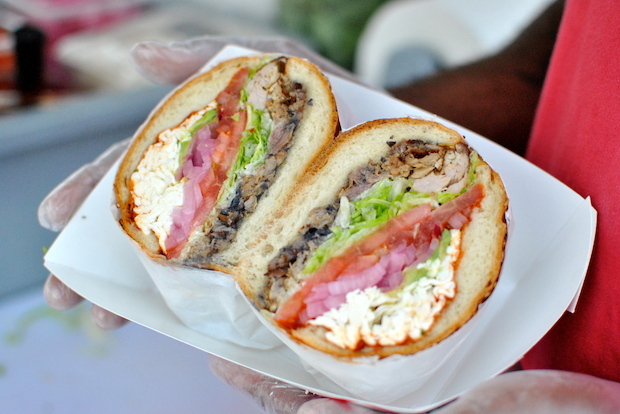 Danny Lyu started Cemita's Mexican Sandwiches with $5,000 at Smorgasburg in Williamsburg in 2012. From the get-go, Danny Lyu had investors sniffing around Cemita's Mexican Sandwiches, which he started with $5,000 at Williamsburg's Smorgasburg in 2012. "I funded everything myself," said Lyu, 34, who previously worked as a TV producer. "I refused to take help from anybody." The upside was having the creative license to make all the decisions in a growing business without needing to consult investors or have the weight of a loan to pay. Eric and Emorn Henshaw, both 37, have complete ownership of their Thai food business, Khao Man Gai NY, which they started in April 2013 at the Hester Street Fair with just $4,000. Emorn Henshaw, who is Thai and comes from a hospitality background, worked on the business full-time from the beginning while Eric kept his day job as a lawyer until this year. Khao Man Gai NY snagged a permanent spot at Long Island City lunch popup market the Food Box in November last year and added a catering business in April. They are seeking their first storefront and are contemplating taking small investments from family and friends or something bigger that could fund their entry into a major market such as Midtown. "We have realized that having 50 percent of something is better than 100 percent of nothing," said Eric. Five out of the six business owners interviewed by DNAinfo New York confirmed they did not start out with a business plan, despite the Small Business Administration touting it as "an essential roadmap for business success." Other than sketching out the basic concept for Khao Man Gai NY, Eric Henshaw and his wife didn't have a plan. While they wish they had put something on paper, Eric notes that their flexibility allowed the company to jump on unexpected breaks, such as the invitation from Food Box. "Most of them have been opportunities that have sprung up," he said. Rosado spent very little on branding, but made up for it with Top Shelf Premium Vintage's Instagram account. "That is the way everybody [potential customers] is getting their advertising," said Rosado. "Everyone looks at it twice an hour." Rosado hires a photographer to take many of the product photos that end up on the account, @TopShelfPremium. These are curated with scenes from the Lower East Side and photos of celebrities wearing clothing from the business. They have 16,000 followers. Brooklyn Taco's 17,000 Instagram followers give the business the same presence as one with its own storefront, according to Kramer. He also called it "the new customer service" platform where Brooklyn Taco can answer queries and drive home their brand's identity. "It's a way that people can get to know you and your company on a lot of different levels other than just sitting down and eating your food," he said. 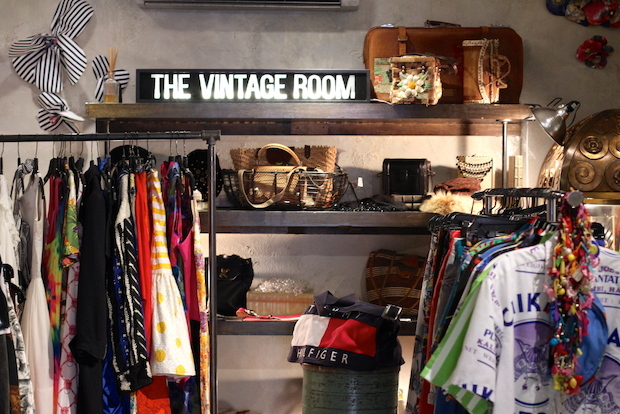 Mark Rosado and Summer Mizera recently open the Vintage Room after starting their separate vintage clothing businesses at the Hester Street Fair.